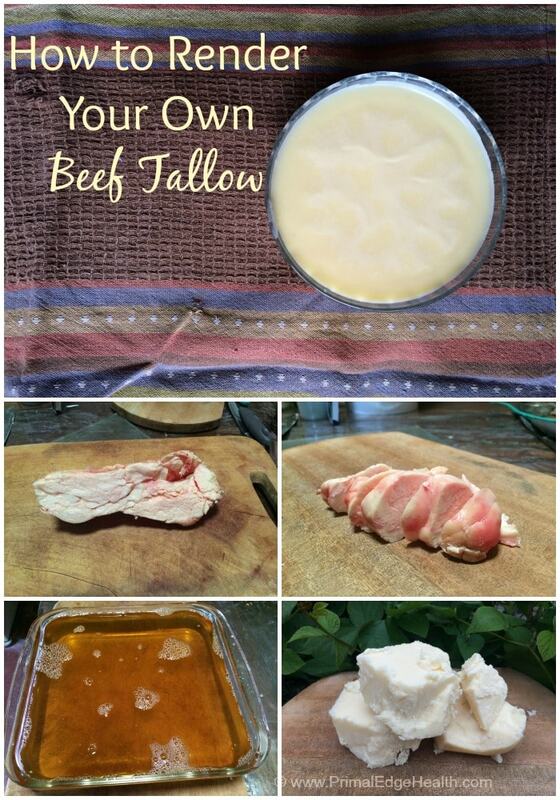 Learn how to render beef tallow in 3 easy steps. 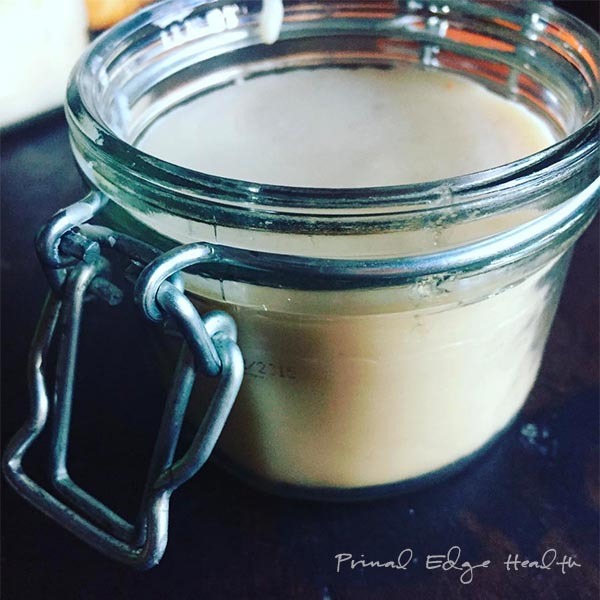 Use this homemade fat for cooking, skin care, candles and more! Beef tallow may seem like a foreign food but just wait, it has been used in kitchens for hundreds of generations right up until the recent popularity of vegetable oils kicked it to the curb. Lucky for us the craze for hydrogenated oils with all of its trans and polyunsaturated fat is not lasting much longer. Enter: the return of healthy and traditional fats! 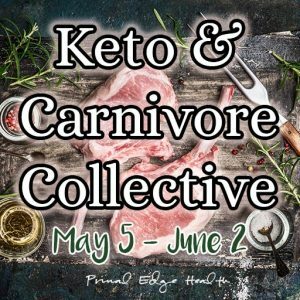 I love experimenting with different traditional techniques, nose-to-tail eating is just one way we explore the fun of connecting with our nutrition and local foods. 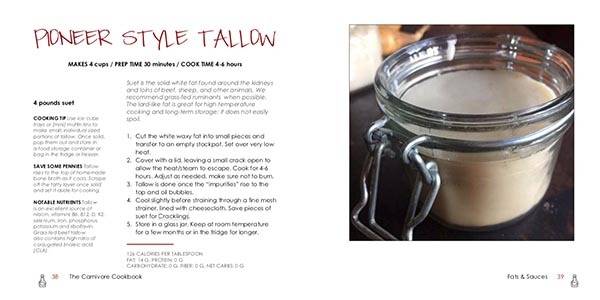 Our kitchen has been stocked with jars of tallow for years, currently it is my main source of fat. A firm waxy fat, beef tallow is the rendered form of beef fat from beef suet. 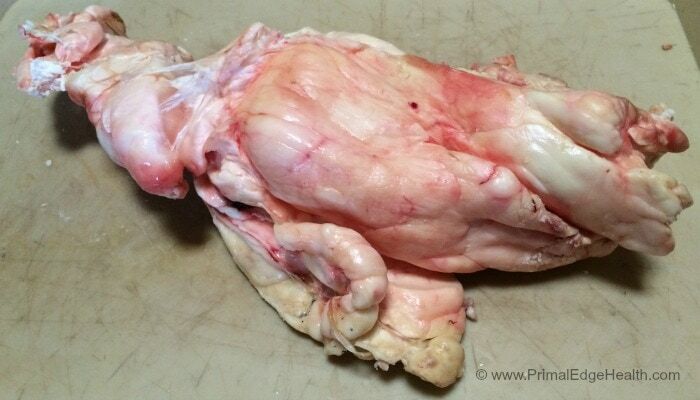 Suet is the hard white fat that encloses the kidneys and loins of cattle, sheep, and other ruminant animals. Recommended: Have you ever tried camel fat? Tallow is similar to lard in that both are the rendered fats of animals. Solid at room temperature, tallow is a very stabble fat and can be stored for periods of time without refrigeration. This is one of the reasons pemmican is such a portable, long-lasting food, great for hiking, camping, and travels. Traditional ways to use tallow include making candles, soap, skin salves and balms, and cooking. It is an excellent source of the oh-so-important fat soluble vitamins and delivers a subtle flavor. For scholarly research, read the Weston A. Price Foundation’s article covering recent studies on fats. Grab a few necessary tools and you’ll be ready to go. Begin by prepping your workspace with a cutting board and a sharp knife. 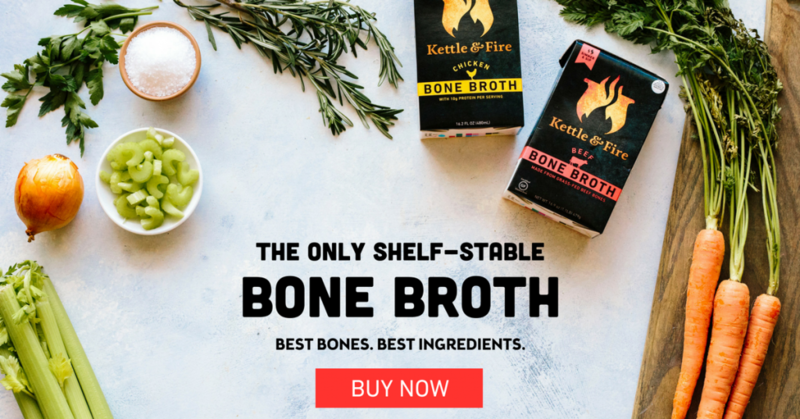 You’ll want either a large stainless steel stock pot (I use the same one for homemade bone broth) or a crockpot/slow-cooker. A slotted stainless steel spoon is useful for stirring and moving around the cracklings. Once done, the liquid fat will need to be strained through a fine mesh strainer or collander lined with cheesecloth into a large glass or stainless steel container. A large baking dish, muffin tray, or sturdy glass jar will all function well for storing. We do our best to support small scale grass-fed beef. While it isn’t always possible to do all the time, sourcing grass-fed fat does tend to be affordable since it remains in relatively low demand. 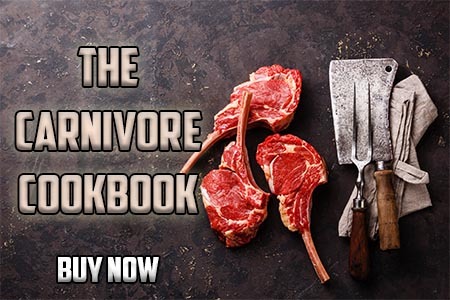 Talk with your butcher or source directly from a local farm they may have a great deal for you. Your suet may need to be trimmed before getting down to business. Remove any large arteries and glands. Suet is subject to seasonal variability. The quality of will change throughout the year, according to the natural cycle of rain and corresponding foods supply that fattens or leans the cow. In our rainy season the grass is plentiful and suet is thick and bright white, while in the dry season grass is more sparse and leaner cows have thinner fat. Flavor is largely dependant on what the cow is eating, although color and taste can vary between breeds as well. The quality of how much the suet is already prepped and trimmed really depends on your source. Buying online, generally means you’ll reviece a very asteticly pleasing package delivered to your door. Picking up some fat from a local butcher or farm might mean you have a few scraps to share with your four legged friends at home. 2. 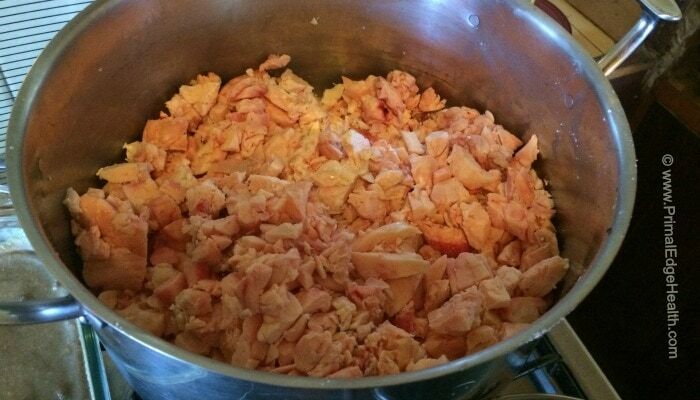 Chop suet into small pieces. The smaller the better here. As more surface area of the tallow exposed, cooking time will reduce since the fat can more eaisly extrude out. Use a sharp knife, watch your fingers, and get chopping! I know some folks who use a food processor to get small little pieces. This will work if you only have a few pounds and the suet is already very firm. Add all your nicely chopped to a large stock pot or slow-cooker and place over low heat. Keep the pot dry, we don’t add any water. I tend to fill up my pot about 3/4 full, keep it on a back burner over the lowest heat possible, and stir occasionally for 3-4 hours. If you use a slow-cooker, adjust the cooking time to 4-6 hours. You will see the suet slowly begin shrinking as the fat is expelled. Stir it around every now and then to make sure nothing gets stuck to the bottom. The last hour of cooking is usually the most important time to keep an eye on it. Tallow is done being rendered once the suet pieces rise to the top of the liquid fat. These little floaters are called “cracklings”. Let the hot fat cool a bit and then strain through a fine mesh sieve into a baking dish, muffin tray, or sturdy glass jar. If you have a big 9×13 rectangle of tallow, cut it down into smaller portions once it has firmed up. Store what you want to use immediately on the counter. Extra can be placed in a pantry, fridge, or freezer. Muffin trays make great individual size or small disks, These are very convienent. The muffin mold works best if you render 1-8 pounds of tallow. Finally, glass jars are my preferred container. The idea is pretty straight forward, fill the jar and seal the lid tightly. Tallow is visible through the glass and looks so pretty as it sits on the pantry shelf. It isn’t uncommon for me to prep upwards of 20 pounds of suet at a time. I like making it once every few months and getting a gallon or so at a time to use and store. US Wellness offers a good price and availability on grass-fed organic suet. 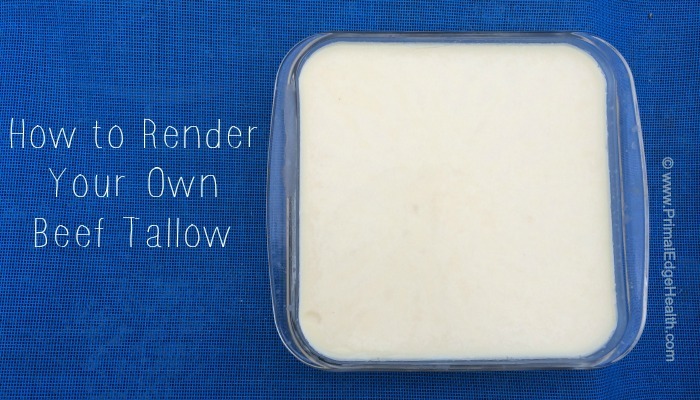 If you want to give tallow a try first before making it, they offer a few options. Of course, you should ask your local sources as well! Shout out to your neighborhood butcher or local farmers and ask around. 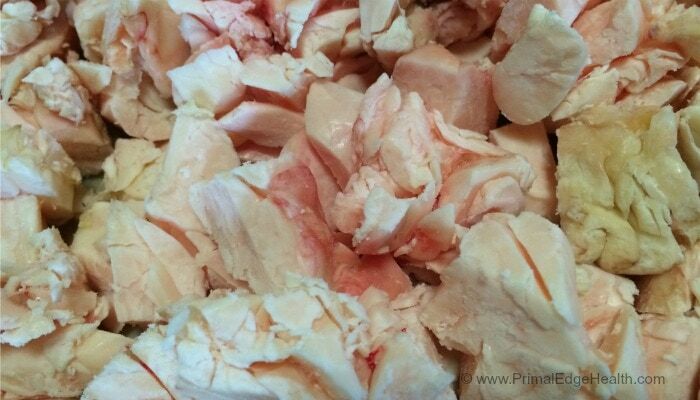 Now that you know how to render beef tallow, what are you going to do with it? Check out these ideas and start experimenting with this heritage food. This is awesome Jessica. I’m going to start doing this . 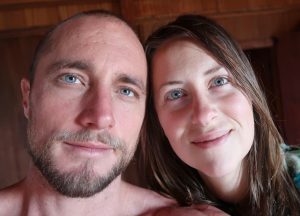 I love making my own home and beauty products, but I use a lot of coconut and other ingredients that are not locally sourced. I want to simplify my ingredients to those I can provide myself. I’m very excited to read more of your blog posts and try some recipes. Thank you!! !